Claudia Merle Herridge was born April 11, 1951 in San Antonio, Texas to Martin and Mae Alexander. Merle was the youngest of the family, born 2 years after her older sister, Gale. Growing up, the Alexander family was active at Central Baptist Church. Merle graduated from Highlands High School in 1969. She attended Southwest Texas State University, earning her Bachelor of Science degree in Education in 1973. After graduating college, Merle returned to San Antonio to begin her teaching career. As a young teacher, she began attending Trinity Baptist Church, where she met Lyndon Herridge. They fell in love and wed on June 4, 1976. Three years later, Merle and Lyndon welcomed their first son, Brad Ray, in 1979. Six years later in 1985 their second son, Blake Adam, was born. 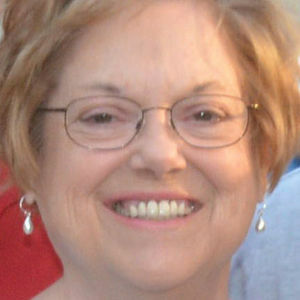 Merle was a devoted mother and loved her sons immensely. Merle was a gifted teacher. She taught high school biology, anatomy, and physical sciences at Castle Hills First Baptist School. Her students appreciated her kindness, patience, and knowledge. Merle was a gracious and lively hostess, often opening her home for family gatherings. She had a gift for making everyone feel welcome and included. Galatians 5:22 says, "The fruit of the Spirit is love, joy, peace, patience, kindness, goodness, faithfulness, gentleness, and self-control." Merle radiated with the spirit, spreading joy and love to all she encountered, even strangers. Merle was a faithful Christian and a member of First Baptist Church of San Antonio. She lived out her faith by serving those around her tirelessly, always putting her family and friends' needs above her own. If you were ever hurting or in need, you could count on Merle to be there for you, and her presence inevitably made others feel better. Merle was an amazing grandmother and treasured spending time with her grandchildren. They adored her and affectionately called her "Momma Merle." She loved them dearly and created special memories with each of them. Merle is survived by her devoted husband, Lyndon. She will be forever missed by her sons, Brad and Blake, her daughters-in-law, Mary and Mallory, and her grandchildren, Grant, Lucy, Maxton, and Meryl. She is survived by her dear sister, Gale Stanley and her husband Greg. She is survived by her mother-in-law, Ada Herridge, of Fredericksburg, Texas as well as by her sister-in-law, Gale Parson, whom she counted as a second sister, and her husband Gary. Merle will be remembered in love by her four nieces, who she loved like her own. In addition, Merle is survived by her aunt Vera Cowley of Midland, Texas, many close friends, including one very special friend considered as a sister, Carolyn Vaughn, and extended family. A celebration of Merle's life will be held at Porter Loring North on Sunday, March 24, 2019 at 2:00 pm with her sons, Reverend Dr. Brad Herridge and Chaplain Blake Herridge officiating. Burial will take place in Bosqueville Cemetery in Waco, Texas on Monday, March 25, 2019 at 11:00 am. The cemetery is located across the street from Bosqueville Baptist Church, where Brad and his family lived in the parsonage while Brad served as pastor. Merle spent hours helping care for her grandchildren when they were infants, often strolling them through the cemetery while they slept and she attended many Easter sunrise services there; it was a peaceful and beautiful place to her. In lieu of flowers, memorials may be made in Merle's memory to Mays Cancer Center, UT Health San Antonio. Add your thoughts, prayers or a condolence to Claudia 's guestbook.